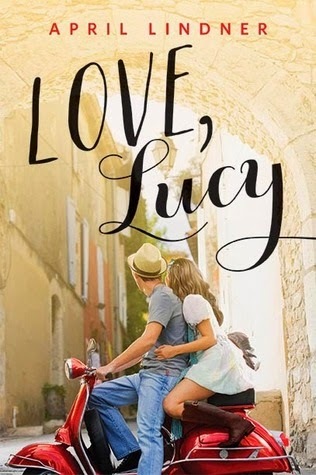 Goodreads says, "While backpacking through Florence, Italy, during the summer before she heads off to college, 17-year-old Lucy Sommersworth finds herself falling in love with the culture, the architecture, the food...and Jesse Palladino, a handsome street musician. After a whirlwind romance, Lucy returns home, determined to move on from her "vacation flirtation." But just because summer is over doesn't mean Lucy and Jesse are over, too. Inspired by E.M. Forster's A Room with a View." I don't even need to explain why this one is on my TBR list. An amazing location? Check. Hot musician guy? Check. Summertime? Check! And there will probably be lots of wine, pasta and gelato….I'm in! I love the sound of this book and the cover is absolutely gorgeous. What do you guys think? Great choice! I've never heard of this author, but it sounds really cute. I've never been to Italy, but it on my list of places I would love to visit. I hope you enjoy it. April Lindner has been on my radar, but I have never read any of her books. I'm looking forward to this one. Thanks for visiting, Jacque! I know, right?! 2015 seems so far off….there are already so many fantastic books coming out! Thanks for visiting, Kirsty-Marie! You're welcome. Thanks for dropping by, Kate! I did not get to visit Florence when I went to Italy a few years ago…hopefully in the future! I agree…Yes to anything in Italy. :) Thanks for visiting, Jenny! My daughter did a study abroad in Italy two years ago and I was hoping that it would generate some summer romance like this one but no such luck. Haha. I hear you! I think we all have fantasized about that at some point. :) Thanks for visiting, Anne! Me too!! I'm glad you agree that this book sounds fantastic. Thanks for visiting, Nick! Fangirling. I'm dying to read this. Everything about it speaks to me; the cover, the synopsis, the LOCATION. I'm stoked. Me too. The location is to-die-for! I am already dreaming of gelato and pasta. :) Thanks for visiting, Keira! I love travel books! I'll have to keep my eyes pealed for this one! Me too…such a sucker for an exotic location in my books…thanks for dropping by, Christianna! I've been waiting for this one too. It sounds like a great read. I'm glad you agree. Thanks for visiting! I am not familiar with Lizzie Maguire, but I'm glad you think that this book sounds good! Thanks for dropping by, Nemo! I love love love love Lindner's retellings! It's totally my thing, and though I didn't know this one was coming out, I'm sold! Great pick, Christina! I have never read Lindner, but I really want to! Thanks for dropping by, Melissa! Adorable cover! These are always ones for Rachel! I know, right?! I am obsessed with the cover….one of my favorites! Thanks for visiting! I am definitely going to be reading this (I requested an ARC) though I hope it is not exactly like the classic it is based on. Ohhh! I can't wait to hear your thoughts on this! Thanks for visiting, Christina! I'm excited for this one, too. It sounds very cute and I adore the setting. Great pick! The setting and the cover are what initially peaked my interest…can't wait! Thanks for dropping by, Natalie!